The biggest winter festival of Mongolia, Tsagaan Sar is the only festival that allows people to taste and try almost all traditional cuisines at every family they visit. Since the name of the festival includes a „white”, traditional dairy products are the symbolic representation of the festival table. Since the Tsagaan Sar is all about paying respect to the elders and visiting their houses, families with elderly set up a big feast table for the guests during the holiday. Let`s have a look at what Mongolians eat and drink during the Tsagaan Sar. The first thing you offered when you visit the Mongolian family is a milk tea. It is one of the most common hot drinks in Mongolia and it is often drunk throughout the day especially in winter. Making Mongolian tea is simple, you need water, tea leaves, milk and a pinch of salt (it is optional). Note that the water must be boiled first to make sure it is safe to drink. The milk can go from a goat, sheep or a camel. Normally cow milk is used. When all ingredients are combined, the next important step is to stir it by scooping up the milk and pours it from a height above the pot of tea.Also, it is common to add other things including sheep tale, millet or rice, flour, dried-meat and dumpling in the tea to make it more of a meal.It is typical in Mongolia that lady of the house make milk tea in every morning and offer it first to the earth and god. Then she serves the milk tea to his husband, father or son. Generally, the tea and the meal should be served first to the host of the family or the men in the house. 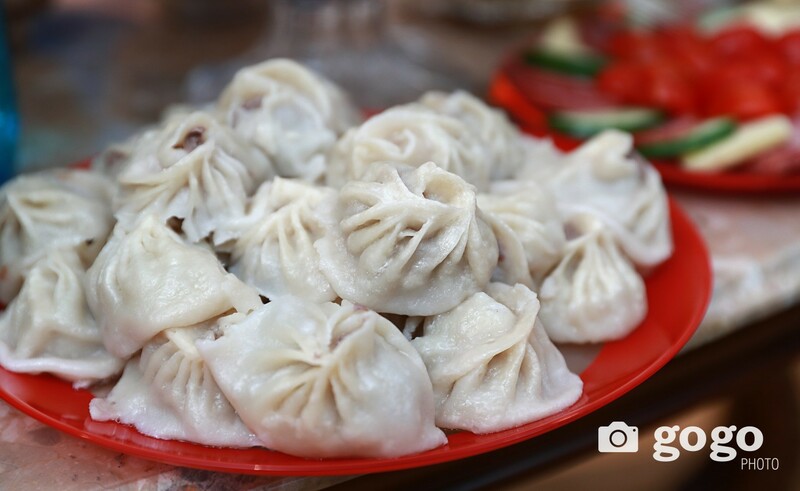 This is the second dish you should taste when you are visiting in a family during the Tsagaan Sar. 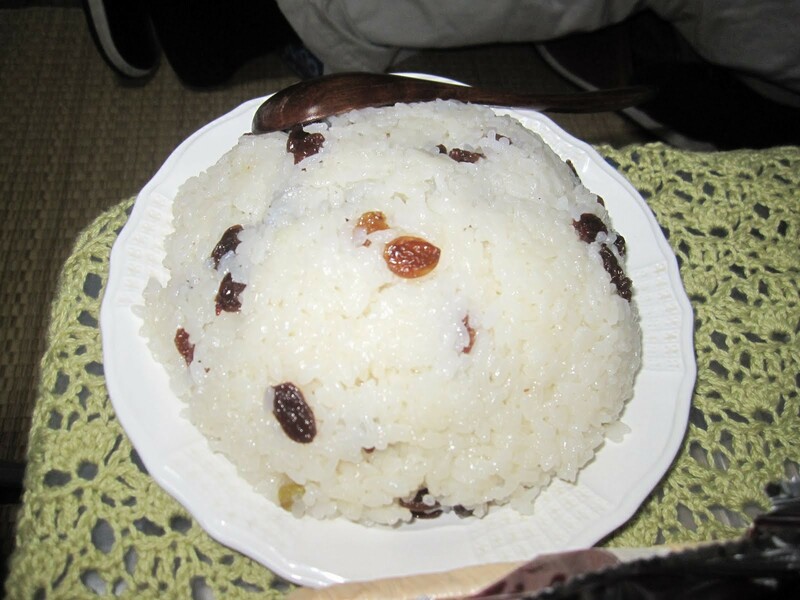 Tsagaalga is made by curd, rice and raisin combined with clotted cream, yellow butter, milk, flour, sugar and salt. The most important ingredient of the Tsagaalga is the traditional dairy product „curd”. The dish is believed to whiten and purify the darks. 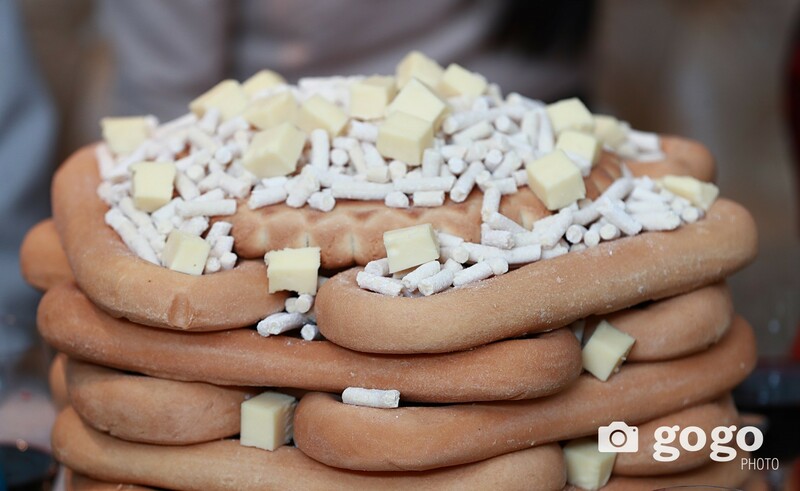 Layers of long pastries or cookies shaped like shoe sole called Ul boov is the main decoration of the biggest festivals of Mongolia. Ul boov has patterns in the center which are stamped with a wooden block. These pastries are stacked in an odd number of layers upward. Each layer consists of four pastries making it four-sided, thus symbolizing the cardinal directions. Due to the first layer represents happiness and the second one represents suffering, the layers must always end in happiness. Technically, Mongolians have a philosophy on odd digits, exemplifying a circle of life that starts with and ends in happiness. The number of layers depends on the age of the elderly and social status of the family. A middle-aged families set up five layers and young families three while a family with elders up to 70 years-old stacks seven or nine layers and state heads nine. Some families use big dried curds instead of pastries. 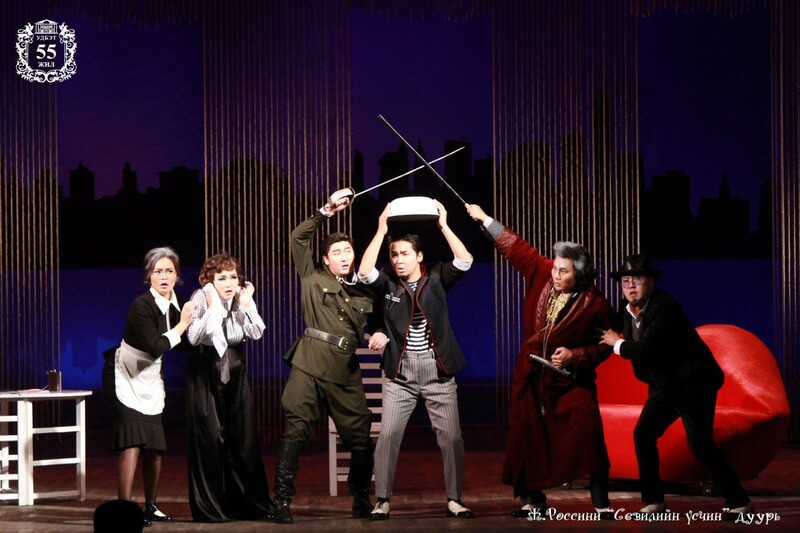 Lastly, a kind of round cake is placed on the top. Then the assembled pastries usually decorated with a variety of dairy products that cut into small making it easier for guests to pick with fingers. Sugar cubes and candies are common decorations too. 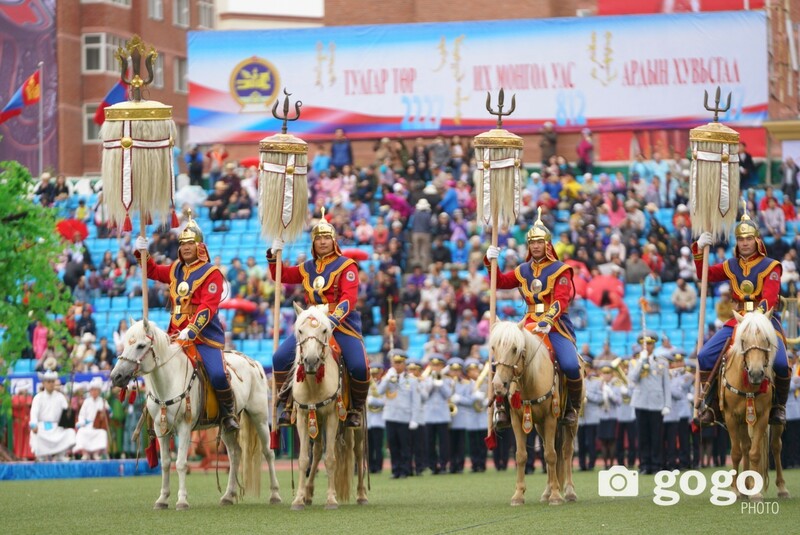 During the Tsagaan Sar, guests have to taste the decorations from the top. Later the festival, the pastries are given to all the family members which perfect to have it during breakfast with milk tea. Uuts is a whole sheep`s back with its fatty tail. It is boiled two or three days before the Tsagaan Sar in a big pot that full of water with salt and left outside for freezing. 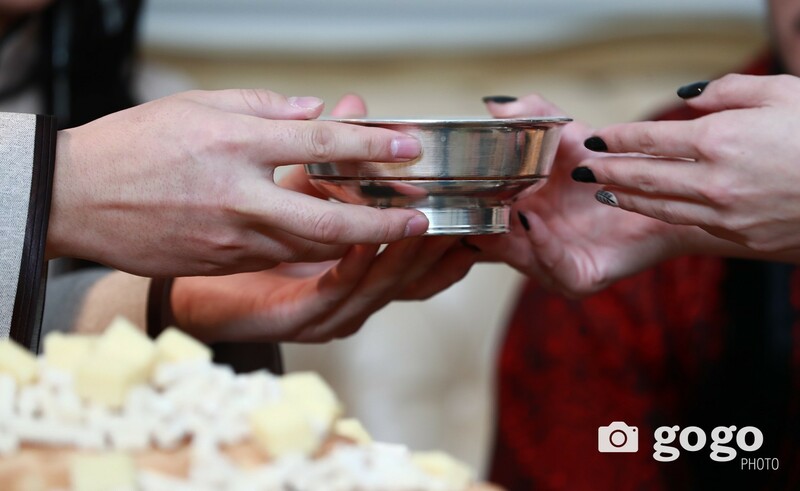 Uuts is served on the big feast tables including Tsagaan Sar and wedding ceremonies.On Tsagaan Sar Eve, host of the family cut the first slices of the uuts and offer it to the fire and god and then the family members. 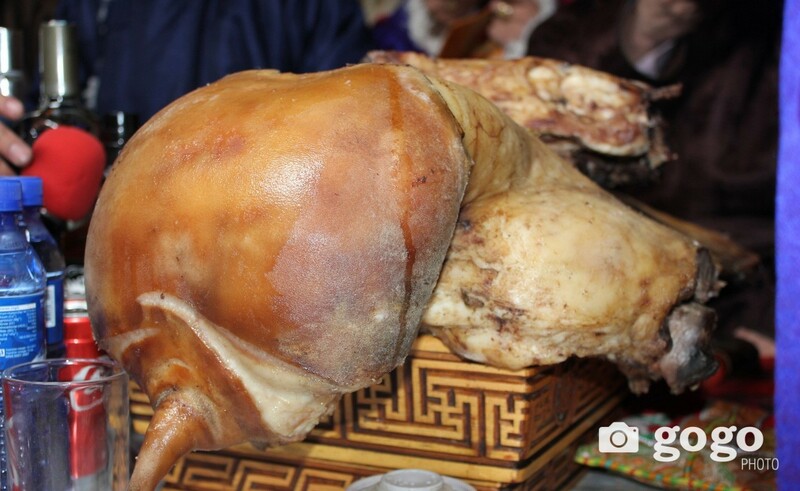 During Tsagaan Sar, guests have to taste the Uuts which is usually offered and cut by the host of the family. Every night the uuts is kept in cooler place or outside preventing it from decaying. Fermented mare`s milk also known as Airag or Kumis is the traditional beverage of Mongolia. It is consumed more in summer due to the milking season of horses runs between mid of June to September. However, people freeze the airag until Tsagaan Sar and drink it.Airag is made by fermenting raw unpasteurized mare`s milk over the course of hours or days, often while stirring or churning. During the fermentation, lactobacilli bacteria acidify the milk, and yeasts turn it into a carbonated and mildly alcoholic drink. It tastes slightly sour and contains up to 2-3% of alcohol. It is kind of dumpling which usually filled with beef and mutton. The main ingredients are flour, minced or chopped meat, onion, salt, black pepper, and cumin. Once the country has extremely cold winter, families prepare the buuz at least a couple of weeks prior to the festival and left outside to freeze which makes it easier to store. A family with elders makes an average of 1000 buuz for the guests. On the other hand, buuz making process allows families to gather and work together. Approximately three to four people needed for making the buuz. One for making the dough and rolling. Another one for mincing the meat and one for pinching or sealing. Last but not least, one for counting and freezing the buuz outside.Due to the fact that it can be cooked easily by steaming for 15-20 minutes, it is the most delicious and popular dish of Mongolia. It is served at all restaurants and cafes of both city and the countryside throughout the year. Buuz can be filled with anything from vegetables to cheese or seafood.Also, some families put a coin inside a buuz and a person who eats the buuz with a coin inside is believed to be lucky for the upcoming year. 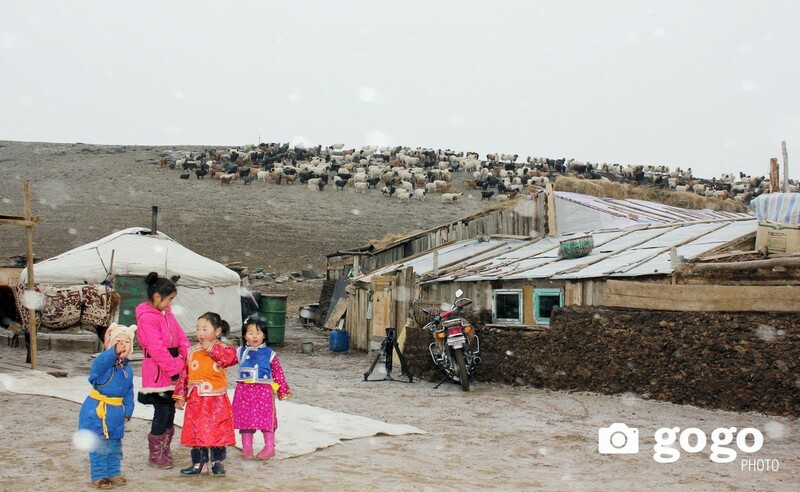 During the Tsagaan Sar, guests have to leave the house after eating at least one buuz. Buuz is usually served with salads, ketchup, and pickles.Since Mongolians have many unique foods and drinks to offer the traveler, we listed a little here above. We hope that tasting the traditional dishes and drinks of a country is a real part of the travel. Besides the main foods and drinks, the Tsagaan Sar table has vodka, non-alcoholic beverages, fruits, nuts, candies, and variety of salads. 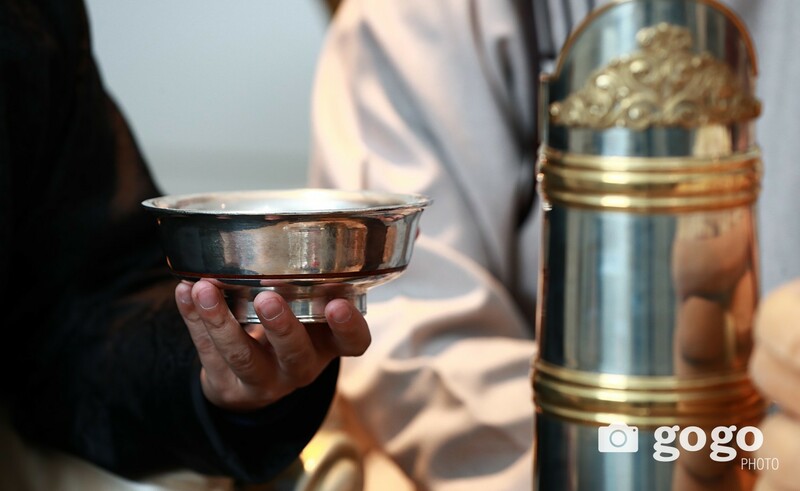 Being hungry or staying with an empty stomach during the Tsagaan Sar is considered as a taboo in Mongolia. We say Bon appetit in Mongolian as Sai-han Hool-lorai. This year, the first day of Tsagaan Sar falls on February 05. 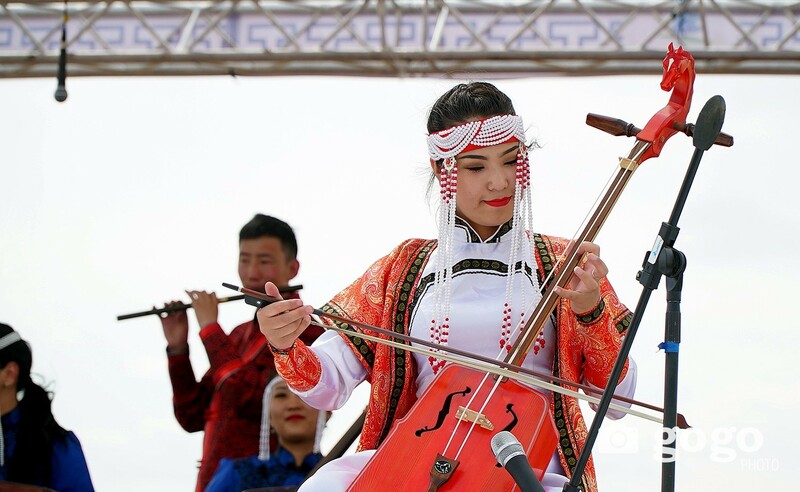 If you really want to know Mongolian culture, it is definitely your must-see festival. Get in touch with us to organize your remarkable and unforgettable Tsagaan Sar experience. Happy Tsagaan Sar! PS: Keep in mind to accept all the foods and drink with your right hand or both hands.